Automatic installation is the easiest option as WordPress handles the file transfers itself and you don’t need to leave your web browser. To do an automatic install of GoUrl Bitcoin/Altcoin Gateway for PaidMembershipsPro, log in to your WordPress dashboard, navigate to the Plugins menu and click Add New. In the search field type “GoUrl Paid Memberships Pro” and click Search Plugins. Once you’ve found our plugin you can view details about it such as the the rating and description. Most importantly, of course, you can install it by simply clicking Install Now. How to i use it with another payment gateway? Hello, We are currently using paystack payment gateway for paid membership pro, Please, do you have a tutorial somewhere, where someone can easily use to implement it? Removing my credit card payment to accept bitcoin alone isn't a good choice. If we can use both, It would be fine. “GoUrl Paid Memberships Pro – Bitcoin Payment Gateway Addon” is open source software. The following people have contributed to this plugin. 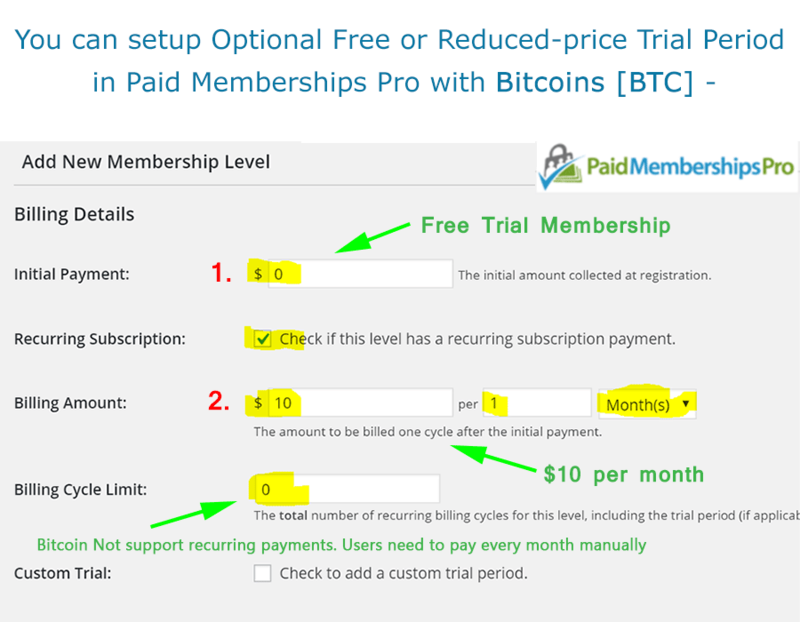 Translate “GoUrl Paid Memberships Pro – Bitcoin Payment Gateway Addon” into your language.